So many makeup brands have amazing deals on at the moment if you spend over a certain amount then you can get a free gift set. 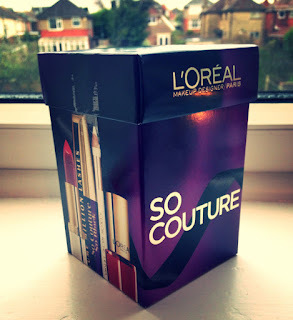 Bourjois, MAX FACTOR, No7 and L'Oreal, to name a few are doing free gift sets. If you spend over £14.99, you can get the L'Oreal So Couture gift set which is worth more than £30. What a bargain and the perfect Christmas present for someone!! It was hard to resist so I had to get it and am very happy that I did. It contains four great products, that I haven't tried before and cannot wait to use them. 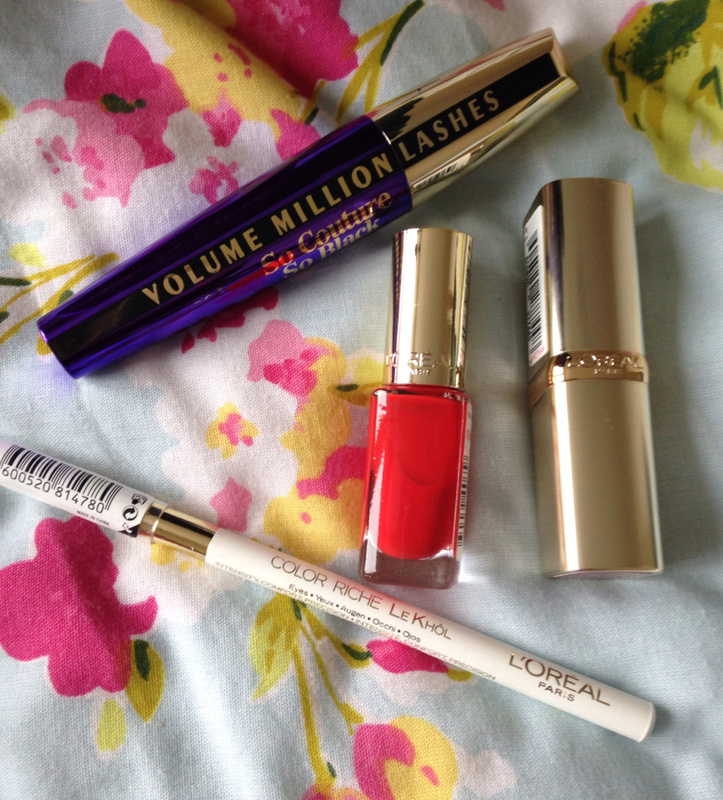 This will be the first L'Oreal Paris mascara I will have tried and it looks like a good one. The brush is a plastic one, which is my preference when buying mascaras as I find it easier to separate my lashes. Cannot wait to use this and see if it really does give eyelashes lots of volume! I have never used a white eyeliner before so this should be interesting... Not really sure what eyeshadow I would pair it with, will have to have a play around with my makeup to see what goes best together. I love this shade, it is absolutely stunning!!! The dark red shade is great to highlight my blonde hair and hopefully it won't make my skin look to pale. It will be great for day or night in my opinion, I don't think it is too much for wearing during the day as it is not that bright. It would look perfect with a little black dress or a white top and leggings. Red nail varnish is one of my favourite colours and I own so many, I think I must have at least 10. This will be the first in my L'Oreal Paris nail varnish collection and it will be good to see the quality and how long it will take to dry.